Dana Rohrabacher has come forward to advocate cannabis use, surely it’s only a matter of time until the government reschedules and legalizes cannabis. As cannabis becomes a more widely accepted medical treatment, people from all walks of life are flocking to get their medical cards and try the life-altering, natural remedy. For many of us, the high that cannabis leaves users with is an added bonus. However, not everyone using cannabis enjoys the mind-altering effects. A variety of non-psychoactive products are now available for just such consumers, and some of the clientele might surprise you. Cannabis remains one of the most controversial topics surrounding many aspects of life in America. From medical usage to agricultural opportunities, cannabis has the potential to change the way we view resources in the United States, in addition to creating an insanely lucrative new stream of revenue for our cash-poor country. Because of the effect legalized cannabis could have on other sectors of the market, like big tobacco, oil and alcohol industries, many politicians are hesitant to come forward and voice their true, unbiased opinions on the subject. With substantially more open-minded and liberal views, we would expect the democrats in power to voice their beliefs about legalizing cannabis like Bernie Sanders has. However, one Republican Congressman from California is breaking the mold and coming forward, not only as an advocate for legalization but also as a medical cannabis patient. U.S. Rep. Dana Rohrabacher recently announced to a group of cannabis activists, who were marching on Capitol Hill, that he turned to medical cannabis to treat his increasingly irritating arthritis. Rohrabacher didn’t want to get high or alter his mind, he simply wanted relief from the pain. To help find the perfect medicine he turned to California’s premier cannabis expert, Dr. Dina. After meeting with Rohrabacher, Dr. Dina knew exactly the type of medicine the congressman was looking for. While CBD oils or pills could have done the trick, Dr. Dina chose a more luxurious option, presenting Rohrabacher with a WOW Medicated Topical Massage Candle. Rohrabacher was skeptical at first and adamant that he didn’t want to use anything that could potential change his way of thinking or leave him with a buzz. After Dr. Dina explained how the candles work, Rohrabacher was sold. The candles are expertly crafted by a high-end candle maker, using only the best wax, essential oils and either THC or CBD concentrates from Dr. Dina’s own dispensary, Alternative Herbal Health Services, West Hollywood (AHHSWEHO). After burning the candle and waiting for some of the wax to melt, all Rohrabacher had to do was apply the warm oil to his arthritic areas and wait for the relief to set in. After one night of using the WOW Candle, Rohrabacher was certain he had found the key to alleviating his arthritis pain. 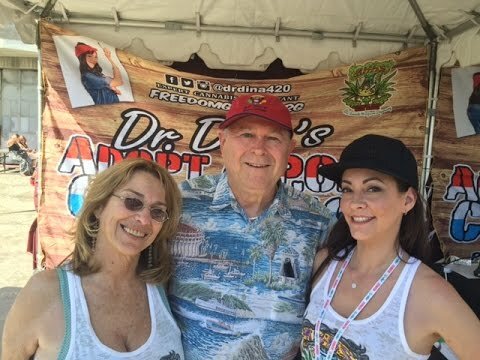 He was so impressed with Dr. Dina’s work, in 2016 he became the first congressman to ever attend a Cannabis Cup, making a stop to visit his favorite lady and deliver a powerful pro-cannabis speech. It was the first time in a year and a half that I had a decent night’s sleep because the arthritis pain was gone. Rohrabacher is the first legislator in Congress to openly admit using cannabis in over thirty years, due to the fact that cannabis is still listed as a Schedule 1 drug and federally illegal. As more prominent officials and people in positions of power begin to come forward about their own cannabis use, laws will begin to change more quickly and drastically. Though Rohrabacher has started the movement of legislative powers coming forward to voice their beliefs, it is time his peers follow suit and stand up for what the majority of the American people want – cannabis to be legal on all federal and state levels. 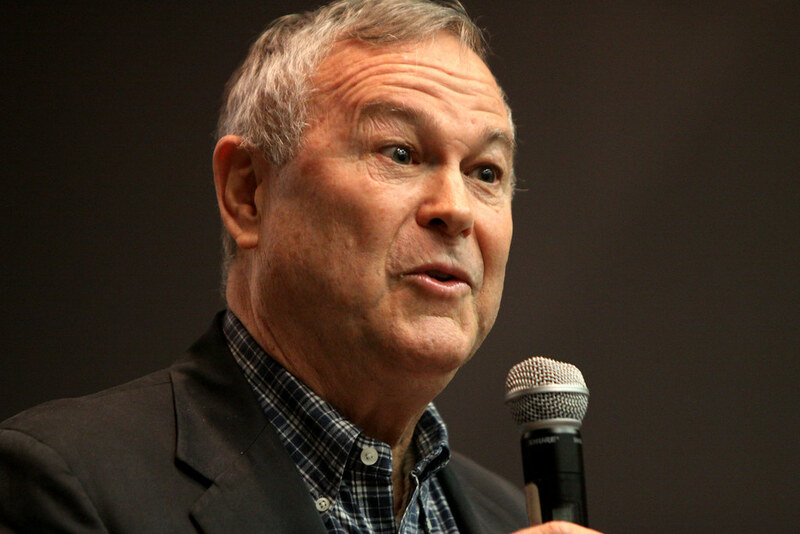 Do you think more politicians like Dana Rohrabacher will come forward about their own cannabis use? Let us know on social media or in the comment section below.